There is a ton of different factors and considerations for you to keep into mind of in regards to rehabilitation especially when you were just in the hospital for a long time or if you experienced a serious accident that has left you injured. 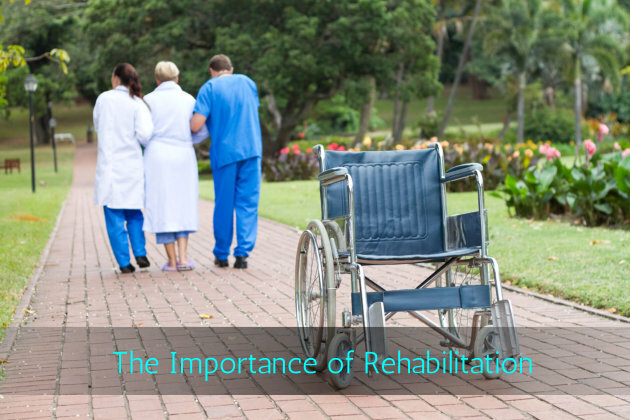 Rehabilitation is very important as it will help you regain your lost physical abilities and capabilities that you have lost due to inactivity of being on a hospital bed or because of being serious injured. There are also plenty of professional and skilled nursing services in Friendship Dr. Nashville IL that you will want to keep into mind of when you are looking for some superb rehabilitation services. Rehabilitation is where you will bring yourself back to a normal state. So if you were injured and you were not able to walk, through rehabilitation and physical therapy you can slowly regain your ability to walk and do all of the things you use to do before you were injured. This is also important for when you are in a hospital for awhile because of a surgery or because of other reasons that left you stuck in a hospital bed for quite some time. This too will also require a degree of rehabilitation to get you back to your original state and condition. There are many places where you are able to get the rehabilitation you need. The best is Friendship Manor and this is because we will ensure you are treated by the best professionals and we will no doubt help get you back on your feet and restore all of your physical capabilities that you may have lost for whatever reason. If you are interested in excellent rehabilitation and being able to live a normal life once again, just give us a call and we will answer any question you may have. Our number is 618-327-3041. So call us today!